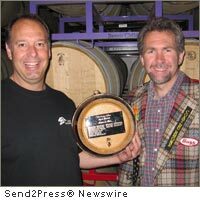 Awards and Honors News, including industry awards, personal and company achievements, recognition and performance awards, and related news topics from Send2Press Newswire. 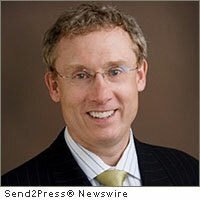 PORTLAND, Maine (SEND2PRESS NEWSWIRE) — At a recent conference Todd Grove of Portland, Maine, was singled out as the nation’s ‘top producer’ in 2010 by LTC Financial Partners LLC (LTCFP). 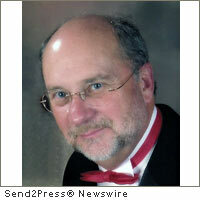 Grove won the same honor in several previous years, distinguishing himself among colleagues nationwide. 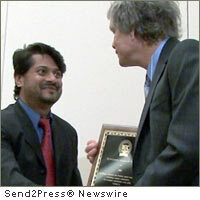 By Send2Press Newswire on April 28, 2011 in Awards and Honors, California, Employment, Insurance, Press Releases, SAN FRANCISCO, Calif.
LOS ANGELES, Calif. (SEND2PRESS NEWSWIRE) — California InterContinental University (CalUniversity), a leading distance-learning educational institution, was proud to be represented by Dr. Stacy Barnes at the 85th Annual Distance Education and Training Council (DETC) Conference last week in Williamsburg, Virginia. 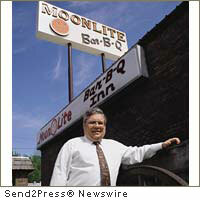 OWENSBORO, Ky. (SEND2PRESS NEWSWIRE) — Moonlite Bar-B-Q has done it again. For the second year in a row, Kentucky Living Magazine readers voted and made their voices heard – Moonlite has the best barbecue in Kentucky. 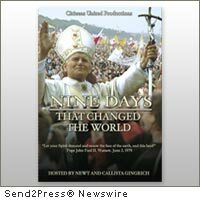 By Send2Press Newswire on April 11, 2011 in Awards and Honors, District of Columbia, Entertainment, Movies and Film Making, Press Releases, Washington State, WASHINGTON, D.C.
WASHINGTON, D.C. (SEND2PRESS NEWSWIRE) — ‘Nine Days that Changed the World,’ hosted by Newt and Callista Gingrich, and produced by Citizens United Productions in association with Gingrich Productions and Peace River Company, has been awarded a Gold Special Jury Remi Award for Best Documentary at the 2011 WorldFest-Houston Independent International Film Festival. ATLANTA, Ga. (SEND2PRESS NEWSWIRE) — In a difficult year for business transactions, 13 members of the Georgia Association of Business Brokers helped enough business owners buy and sell $40 million worth of businesses to earn membership to the organization’s prestigious Million Dollar Club for 2010. 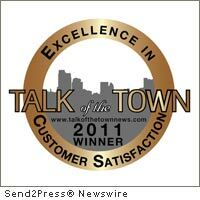 FARMINGTON HILLS, Mich. (SEND2PRESS NEWSWIRE) — The most effective employees possess both traditional intelligence and people skills, a combination called emotional intelligence, according to an article in the new and highly anticipated Talk of the Awards Newsletter, which will be available to Customer Care News Magazine subscribers, and Talk of the Town Award winners. NEW YORK, N.Y. (SEND2PRESS NEWSWIRE) — Presidential Who’s Who announced this week that one of its members, Barbara Barton, executive and nutritional coach for Isagenix®, is working to help others reach their ultimate potential and achieve their goals. 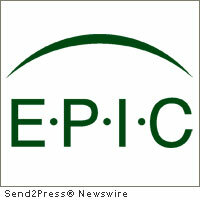 HOUSTON, Texas (SEND2PRESS NEWSWIRE) — Whiteflash has been selected to win the prestigious Bride’s Choice Award 2011 by WeddingWire, the nation’s leading wedding technology company. 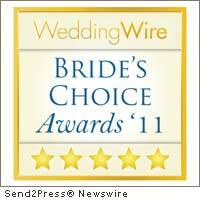 The Bride’s Choice Award is awarded annually based on reviews and surveys shared by the over 750,000 newlyweds that rely on WeddingWire for wedding planning resources.